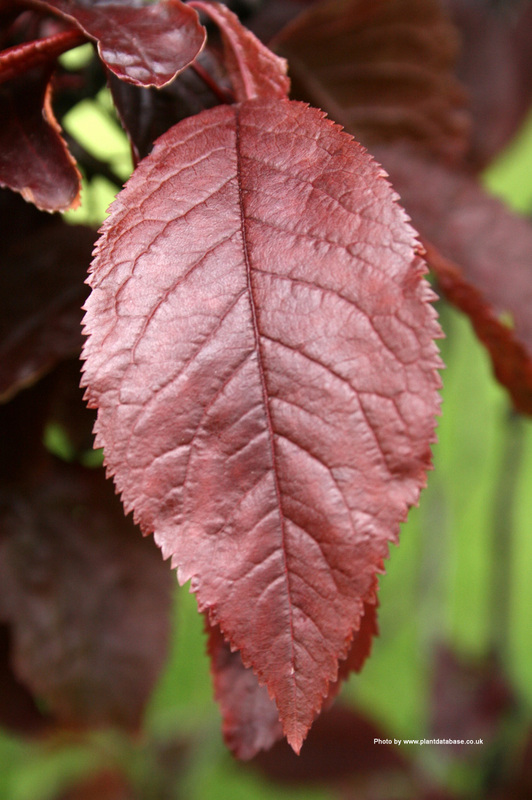 The cherry plum or myrobalan plum tree (prunus cerasifera 'nigra') is noted for its distinctive dark purple leaves, crimson when young, which remain on throughout the summer. 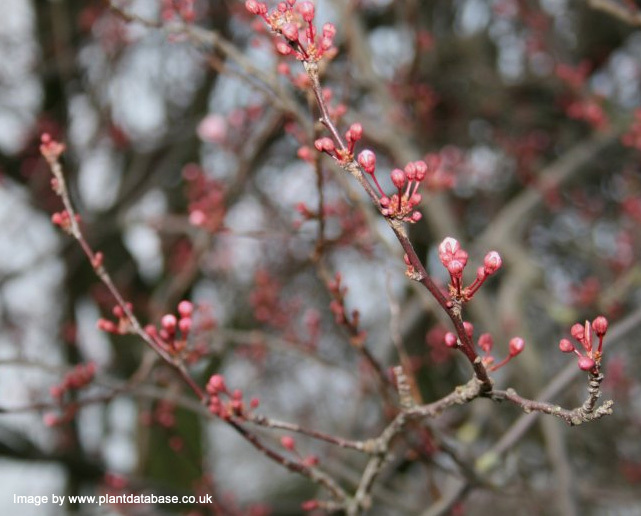 Cherry or Myroblan Plum produces a display of bowl-shaped pink flowers which develop on its bare branches in early to mid-spring and are on occasion followed by plum-like yellow or red fruits. 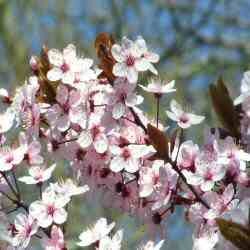 A delightful small tree that will grace any garden. Expect a final height of 8m (26ft 8in). 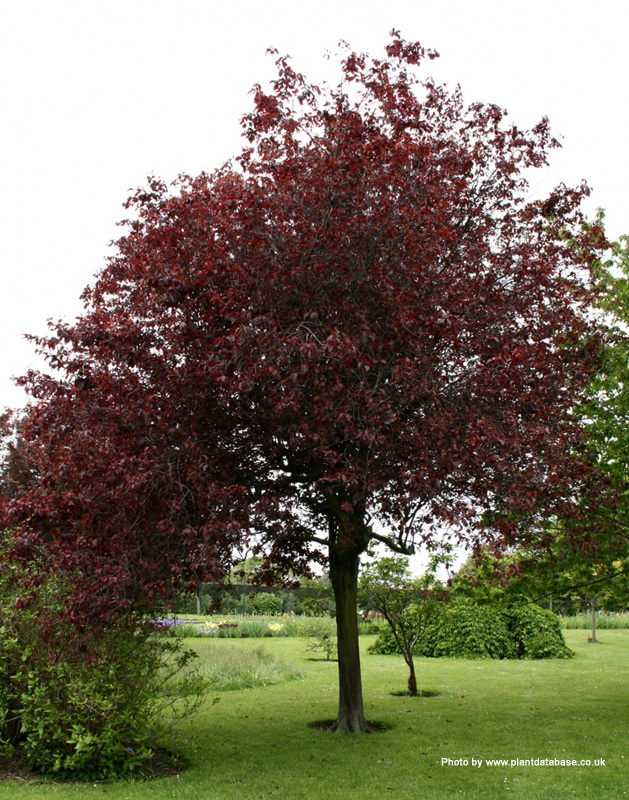 Cherry or Myrobalan Plum is supplied at of height of between 1. to 2.2m and in a 12 litre container, which means that the tree can be planted any time of the year and with better results than either bare-root or rootballed trees.